As England take to the skies and the dust settles on an eventful three weeks of rugby, the final Tour Diary hands out some end-of-tour awards. New Zealand player: There are many who qualify for this category. Aaron Smith was great in the third Test, Brodie Retallick was consistent throughout, while Conrad Smith and Julian Savea showed off their impressive skill-sets. But Ben Smith was the series' standout player. He excelled at fullback in the second and third Test and has a rugby brain the world over is surely envious of. 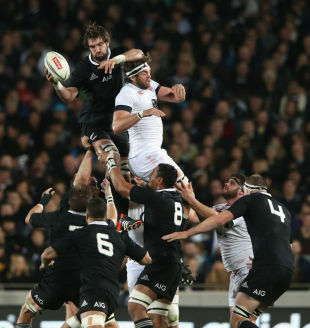 Best England player: In December he had had two shoulder operations and faced a hard road back but Geoff Parling has been the outstanding English player on this tour. Kick: David Wilson's kick to touch in the second Test was a masterful piece of alien front-row initiative. 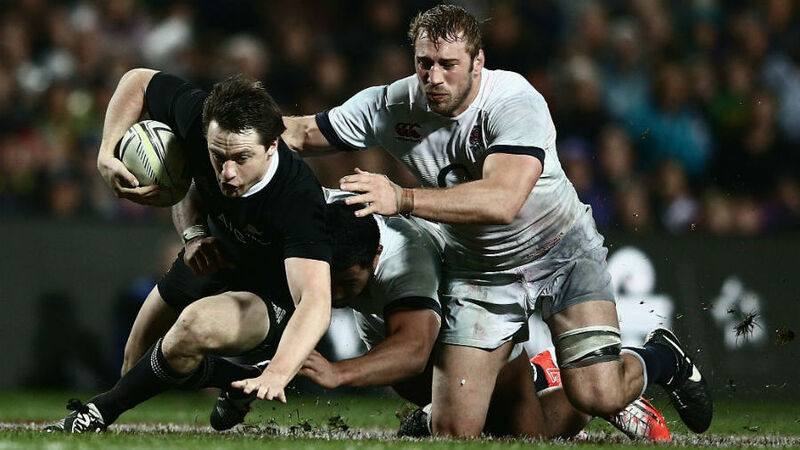 Match: The second Test was the best of the three with the game played at a ferocious pace. The All Blacks' third-quarter performance was on another level. Decision: Aaron Cruden's quick-tap penalty in the first Test eventually saw the All Blacks go one-nil up in the series. Tackle: Ben Smith's try-saving tackle on Manu Tuilagi or Jordan Taufua's hit on James Haskell in the midweek match. Try: The All Blacks scored two great tries in the third Test but Ben Foden's solo effort against the Crusaders was a wonderful piece of invention as he toed the touchline tight-rope and dotted the ball down. Anthony Watson's in the same match was a close second. Occasion: The match in Christchurch. A fantastic rugby occasion though the half-time entertainment was truly bizarre. Sobering experience: Seeing the devastation in Christchurch. It is a fantastic city and you hope it finds some of its former glory in the city centre. Blunder: Brodie Retallicks' inability to name any of the English team and instead naming the ex-Mayor of Wanganui. Storm in a tea cup: Talk of England's go-slow strategy between the first and second Test. Trip: An off-piste venture to Hobbiton saw the travelling media hosted superbly and showcased the inner-geek in one of the party. Ground: The Forsyth-Barr Stadium in Dunedin. What it lacked for in Wi-Fi it made up for in noise. Farce: That England had to play their opening Test without so many of their first-choice players.